Did you know that 90% of information transmitted to the brain is visual, and visuals are processed 60,000 times faster in the brain than text? Visual content drives decision making. Why do you think People magazine is as successful as it is? It is all about people, people like to see other people. People love pictures, especially those which give a sampling of what to expect. Photos can provide a sense of trust and eliminate the uncertainty or unknown. When we see a photo, especially of a face with eyes staring back at us, we make an emotional connection with the content it’s associated with. Now that we have context for these words coming from a human, we have an easier time believing that what is being said is true. One of the best ways to introduce yourself, your staff and your practice to people is through pictures. This helps them know what to expect when they finally make their way to your office, they will feel right at home with you, because they already know what you look and sound like; you are familiar to them, which in essence is the main object of any marketing strategy. You may be humble and not thrilled about putting your picture out there, but it produces results! Patients want to know who you are, what you look like and this establishes trust. When we see a photo, especially of a face with eyes staring back at us, we make an emotional connection with the content it’s associated with. Now that we have context for these words coming from a human, we have an easier time believing that what is being said is true. 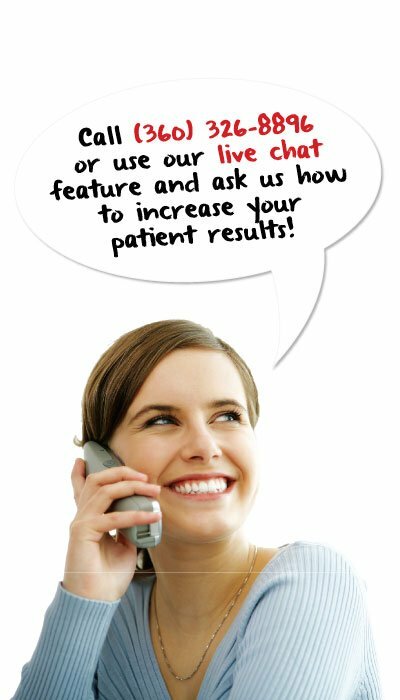 This is why so many patients click on the about us page on most chiropractors websites. They want to see the doctor and staff. To increase results in your chiropractic postcards, new patient marketing or other chiropractic marketing, adding in images of you and your staff is the key to success and converting more patients!